This paper presents a brief overview of the technologies used to implement surface plasmon resonance (SPR) effects into fiber-optic sensors for chemical and biochemical applications and a survey of results reported over the last ten years. The performance indicators that are relevant for such systems, such as refractometric sensitivity, operating wavelength, and figure of merit (FOM), are discussed and listed in table form. A list of experimental results with reported limits of detection (LOD) for proteins, toxins, viruses, DNA, bacteria, glucose, and various chemicals is also provided for the same time period. Configurations discussed include fiber-optic analogues of the Kretschmann–Raether prism SPR platforms, made from geometry-modified multimode and single-mode optical fibers (unclad, side-polished, tapered, and U-shaped), long period fiber gratings (LPFG), tilted fiber Bragg gratings (TFBG), and specialty fibers (plastic or polymer, microstructured, and photonic crystal fibers). Configurations involving the excitation of surface plasmon polaritons (SPP) on continuous thin metal layers as well as those involving localized SPR (LSPR) phenomena in nanoparticle metal coatings of gold, silver, and other metals at visible and near-infrared wavelengths are described and compared quantitatively. 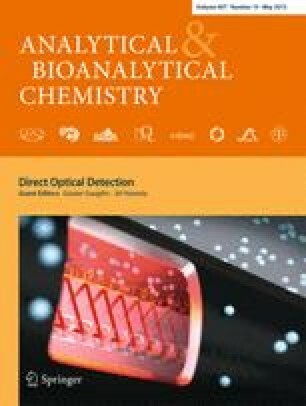 Published in the topical collection Direct Optical Detection with guest editors Guenter Gauglitz and Jiri Homola. This work was supported by the Belgian F.R.S.-FNRS (Associate research grant of C. Caucheteur), the European Research Council (Starting grant of C. Caucheteur – Grant agreement N° 280161), by the National Natural Science Foundation of China (Starting grant of T. Guo – Grant agreement N° 61205080), the Pearl River Scholar for Young Scientist of China (Starting grant of T. Guo – Grant agreement N° 2011J2200014), and by the Natural Sciences and Engineering Research Council of Canada.